Where ever you go you’ll get an argument about how chili should be made – with beans/without beans, ground meat/cubes, etc. 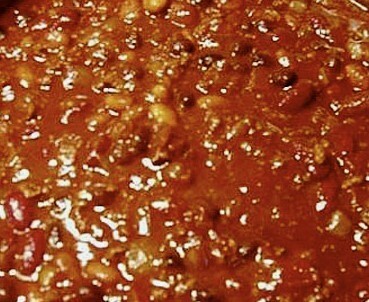 Here are 2 recipes from both ends of the chili spectrum. Both good but different. Try each and then improvise. The idea of this one is that a cowboy always had access to some beef that he could fry in its own fat and he could easily carry a few dried peppers in his saddle bag. 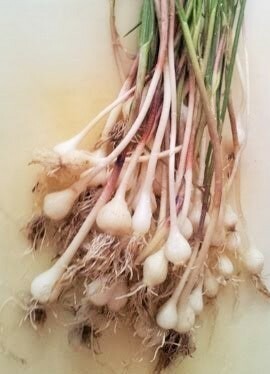 And maybe he could find a wild onion out on the range. Boil to rehydrate 6 or 7 anchos in 1 ½ cups water. Strain, saving liquid. Remove stems and chop roughly. 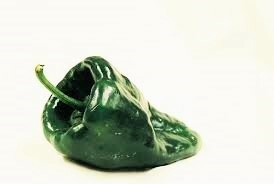 When it’s fresh and green it’s a poblano. 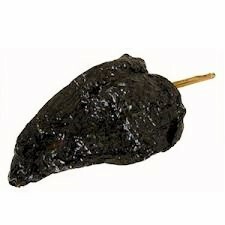 When a poblano is dried it’s an ancho. Cut 1 lb. sirloin (cowboys has access to good cuts of beef) into cubes and brown lightly over high heat (add some oil if you need it) with salt and pepper and remove. Lightly brown small chopped onion (optional) and add the chopped peppers. Return meat and juices and simmer 5 minutes on low heat. 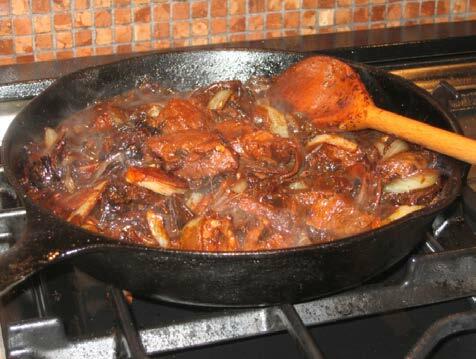 Add ancho liquid and stir, scraping up brown bits from pan. Simmer another 5 minutes and it’s ready. This recipe can serve a large group – cut it in half if you want. It’s good left over. In batches, brown 2 lbs chopped beef and 1 lb. of cubed chuck (seasoned) in oil and remove. Brown 1 large chopped onion, 2 cloves chopped garlic and salt and pepper. Add 1 28 oz. can plum tomatoes and 1 sm. can chili powder. Return meat and juices. Simmer 2 hours and then add 3 cans of beans (1 each pinto, kidney and black). Simmer another 20 minutes. It’s better made a day in advance and then re-heated and served.